Keywords: thromboembolism, trauma, polytrauma, prevention, bemiparin. Background. The study of thromboembolic complications prevention in trauma patients, who underwent surgery, is presented in the research. Objective. Patients were examined in the Department of Traumatology of Ternopil Municipal Hospital. The first group, 263 people, (18.6 %) consisted of patients with polytrauma and unfavorable prognosis and significant disease severity. The second group comprised patients with combined trauma, 462 people (32.8 %) – a doubtful prognosis for life. The third group, 685 people (48.6 %) involved patients with isolated trauma and positive treatment outcome. Methods. All patients, besides general clinical examination, underwent evaluation of the number of platelets, clotting time, duration of bleeding and study of coagulation (prothrombin index, prothrombin activity thrombotest, total fibrinogen, fibrinogen A, activated recalcification time). The venous system of lower limbs was examined using distal ascending phlebography, color Doppler and duplex ultrasonography SIMENS ACUSSON X 300. Results. A comprehensive prophylaxis of thromboembolic complications was carried out using low-molecular weight heparin as well as essential complex kinetic treatment. Bemiparin in an appropriate dose was administered once a day for 10-14 days of postoperative stay in the hospital. For the patients with moderate risk and high surgery risk (major surgery, over 40 years old in age, obesity, and serious comorbidities) Bemiparin was administered at a dose of 5000-7500 IU per day during patients’ stay in the hospital. In individuals with sub-acute and chronic thrombophlebitis of subcutaneous veins the surgical prophylaxis of thromboembolic complications was performed. Conclusions. The combination of physical, drug and surgical prophylaxis prevented the thromboembolic complications in trauma patients. Vinnik YuA, Volos YuB, Shmanko YuV. Prevention of thromboembolic complications in cancer patients. X congress of oncologists of Ukraine: Materials of Congress. Kyiv. 2001;140-145 [In Russian]. Grintsov GA, Tantsyura VP, Peschanyi RYe, Vysokiy AG. The role of hemodynamic disorders in the choice of tactics of surgical treatment of victims with combined trauma of the chest and limbs. 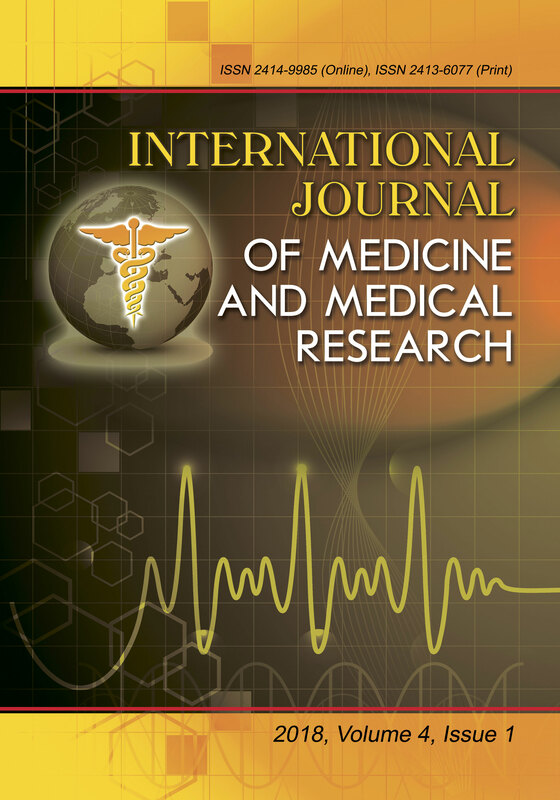 Journal of Emergency and Restorative Medicine. 2011;5(2): 230-232 [In Russian]. Yefetova TS. Prevention of microcirculatory disorders caused by operational trauma and associated complications in radical surgery for stomach cancer. Clinical Surgery. 2012;8:37-41 [In Russian]. Mazurenko OV, Kuzmin VYu. Analysis of mortality victims with isolated and combined trauma. Clinical Surgery. 2008;12:21-23 [In Ukrainian]. Starodubtseva MB, Demyanenko EN, Shpa­kov EI. Intensive therapy of pulmonary embolism in cancer patients using fractiparin. X Congress of Oncologists of Ukraine: Materials of Congress. Kyiv. 2001; 56-68 [In Russian]. Protsyk AI. The fundamental approach to providing medical care to victims of prehospital polytrauma. Clinical Surgery. 2015;4:28-29 [In Ukrainian]. Savelyev VS. Prevention of postoperative venous thromboembolic disorders. The Russian Consensus. 2010; 20 [In Russian]. Sayenko VF, Mazur AP, Grubnik VV, Fillipen­ko VA, Kobza I I, Popik MP, Kalinin OG, Krivoruch­ko IA, Boyko VV. Assessment of the risk of venous thrombosis and embolism in surgical patients. Clinical Surgery. 2003;8:5-8 [In Russian]. Kakkar AK, Williamson RCN. Prevention of venous thromboembolism in cancer patient. Semin. Thromb. Hemost. 2009;25:239-243. Geerts WH, Pineo GF, Heit JA. Prevention of venous thromboembolism. The Seventh ACCP Conference on Antithrombotic and Thrombolytic Therapy. CHEST. 2004;126:338-400. Suchkov IA, Martinez-Gonzalez J, Schellong SM, Garbade T, Falciani M. Bemiparin DVT Study Group. Comparison of Once-Daily Bemiparin with Twice-Daily Enoxaparin for Acute Deep Vein Thrombosis: A Multicenter, Open-Label, Randomized Controlled Trial. Clinical drug investigation. 2018 Feb 1;38(2):181-9. Ciccone MM, Cortese F, Corbo F, Corrales NE, Al-Momen AK, Silva A, Zito A, Pinto M, Gesualdo M, Scicchitano P. Bemiparin, an effective and safe low molecular weight heparin: a review. Vascular pharmacology. 2014 Jul 1;62(1):32-7. Muñoa L, González AB, De Rada PD, Valenti A, Valenti JR. Rivaroxaban is as efficient and safe as bemiparin as thromboprophylaxis in knee arthro­scopy. Musculoskeletal surgery. 2014 Jun 1;98(1): 21-5. Kuznetsov MR, Sapelkin SV, Boldin BV, Leont'ev SG, Neskhodimov LA. Recanalization of lower-limb deep veins as an index of efficacy of treatment for acute venous thrombosis. Angiology and vascular surgery. 2016; 22(3):82-8 [In Russian].